Concreting is a vital part of any construction project. For decades, humans have used concrete to build a wide range of structures, including commercial and residential buildings, as well as roads, dams, and bridges to name a few. Concrete is actually a fascinating material; here are five interesting facts about this widely used construction material. It is believed that concrete was first used in Ancient Rome from 300B to 476AD. It was made from quicklime, pumice, and pozzolana, which is a form of volcanic ash. The Romans used it to build domes, vaults, arches, and other structures. One of the best things about concrete is that it gets stronger over the years. It is because the calcium hydroxide in the cement absorbs carbon dioxide and transforms it into calcium carbonate. Concrete is so versatile it can be made to imitate other construction materials such as granite, ceramic tile, porcelain, and even wood. With concrete, you can make your home look luxurious and grand without spending a huge amount of money on expensive construction materials. An average slab of concrete weight about 145 pounds per cubic foot, or 2,322.65 kilograms per cubic metre. Its weight usually depends on its air and water/moisture content. 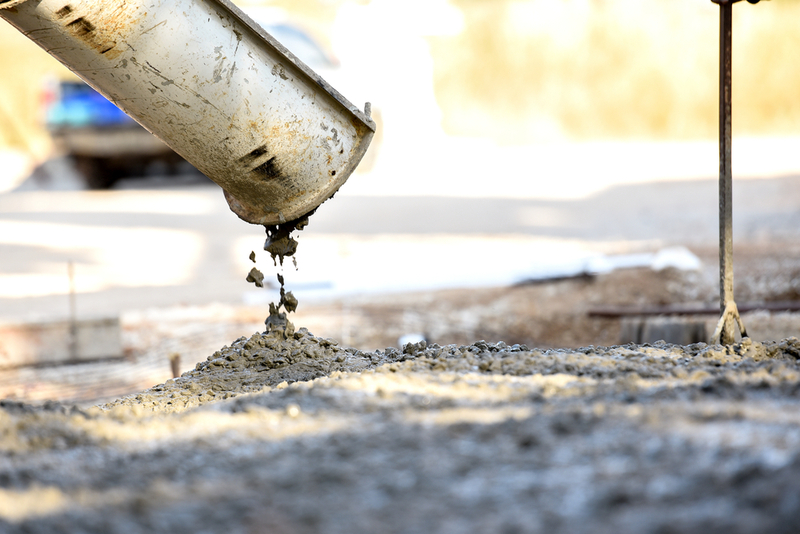 Most builders don’t want concrete to dry out too fast because the longer it stays wet, the stronger it will become. This is because of a chemical reaction between the cement and water when they are mixed. L&A Martino is the leading concreting company in Geelong. With 25 years of experience in the concreting industry, we are fully equipped to handle all domestic, commercial and industrial concreting jobs. Call us today!